Lapis Lazuli is the stone of truth and enlightenment. This vibrant stone emits blue energy which opens the third eye and stimulates the pineal gland. Lapis is best known for encouraging spiritual honesty, communication and intellectual acuity. Lapis is beneficial to our voices and throats as it works to unblock the throat chakra to allow for greater expression and communication of our thoughts and feelings. Lapis Lazuli is the crystal companion of the truth-seeker who leads with logic and intelligence while conducting himself with honor. 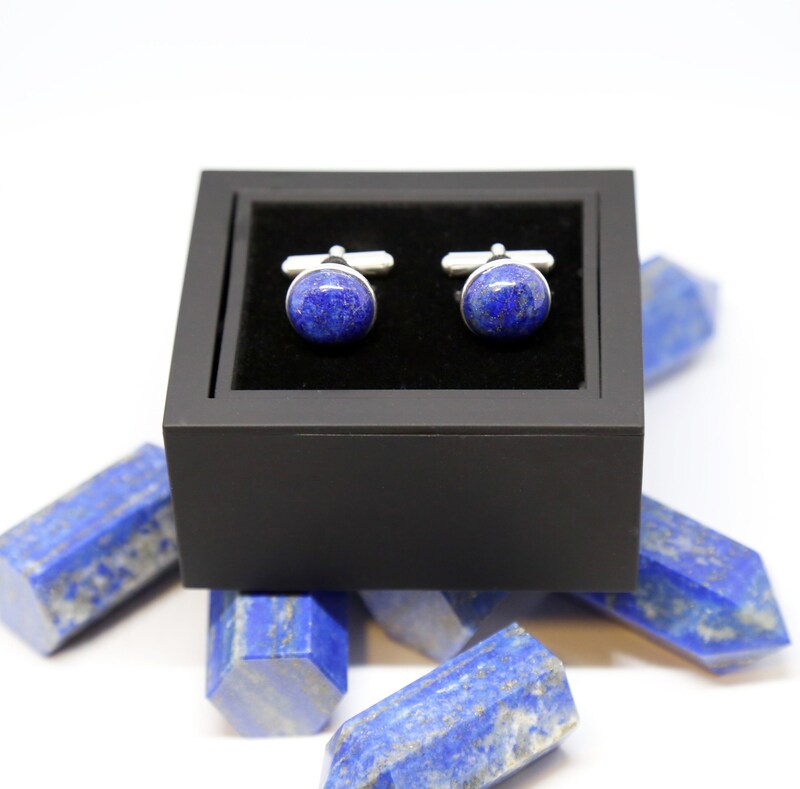 Lapis Cufflinks come ready for gift giving in a unique cufflink box. Use the drop down menu to choose your setting: sterling silver (925), gold plated sterling silver, rhodium plated sterling silver, rose gold plated sterling silver, silver plated, gold plated or stainless steel. The stones are 5/8" diameter. These are beautiful! My " man of honor" in my wedding is going to LOVE them!